We often hear the phrase history repeats itself. If you look at the Bible, it shows time and time again of God’s people repeating the same sins. They keep getting into the same, or very similar, predicament. His people recognize their mistake (eventually) and God comes through to redeem His people. This isn’t just true of Biblical times, it is true in the past three hundred years as well. We can see time and again how wars have started and the patterns associated with them. We as individuals often repeat our own mistakes (hoping we eventually learn, or at least I’m hoping I eventually learn). I like to think that as His people today, we don’t do this as corporate body’s, as the Church. Of course, we do it individually. We all sin, we all struggle with similar sins our entire life, but God is a loving, forgiving God when we repent and ask for His grace and mercy. Unfortunately, what I hope to be true for the corporate entity of the Church is not. When your organization makes mistakes and the leadership continues to repeat chronic sins, it will begin to destroy your church. People stop attending. People stop coming to know the Lord. You hurt your own staff in the process. You could be hurting many, many people. 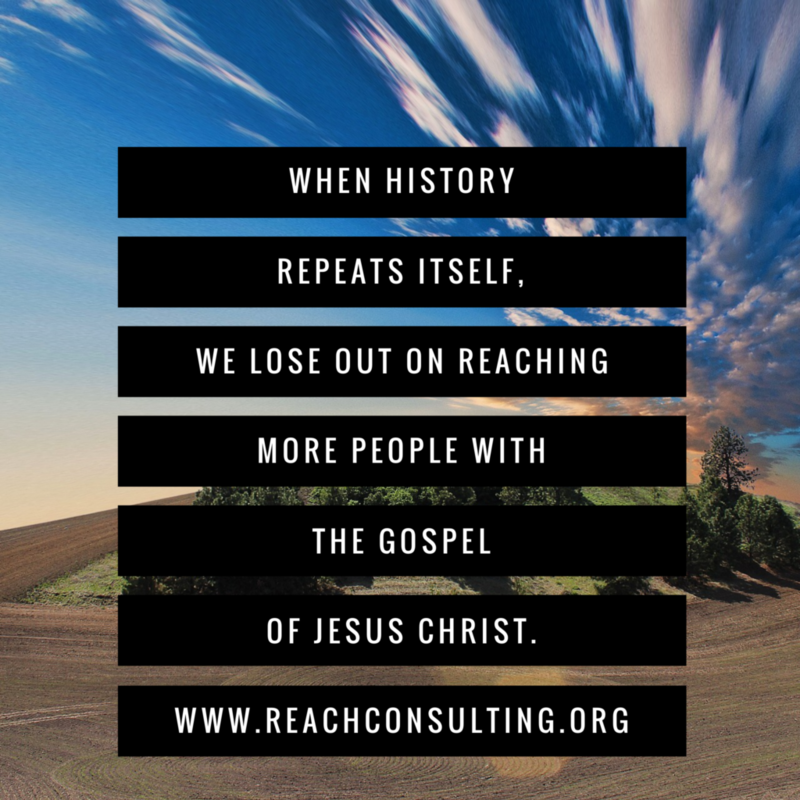 When history repeats itself in the church, we lose out on reaching more people with the Gospel of Jesus Christ. A local organization has the appearance of one of these chronic sins. They continually focus on renovations and equipment over their staff. In the past 10 years, I have watched this organization repeat this over and over again. I’m all for taking care of what you have, and making improvements when necessary. I also understand that there are some things that have to be updated. Yet this organization has done budget cuts continuously over the years, laying off staff or cutting back hours, but they have renovated every building on campus, upgraded technology constantly, and installed solar. During this same time period, ministry has become stagnant and attendance has slowed. 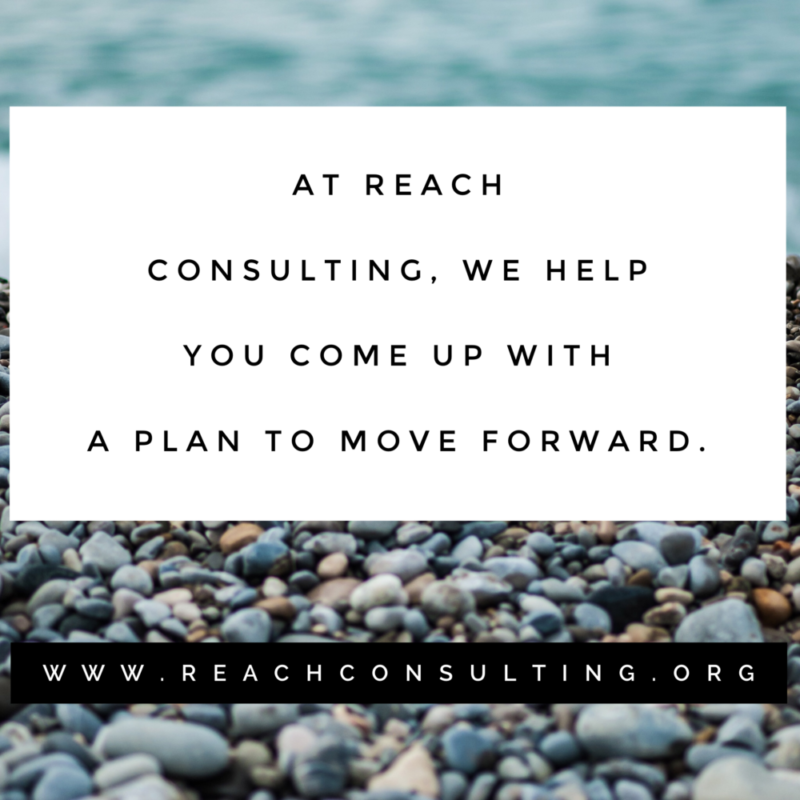 At Reach Consulting, we want to ask the hard questions. We want to help you discover where you are stuck, where you keep repeating your mistakes, and help you come up with a plan to move forward. Often, you don’t fully know the mistakes you are making because the processes have become so entrenched in who you are as an organization or leader. We want to help you learn. When you look at your organization, or even your own leadership, what patterns do you see that aren’t healthy? Where are you repeating history?